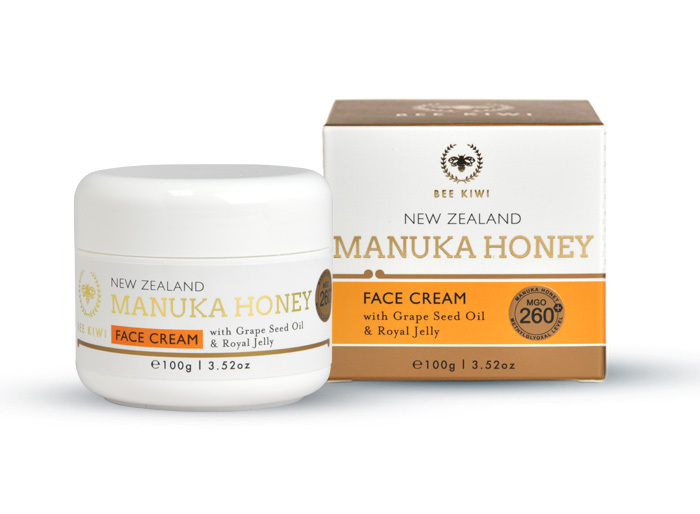 Protect skin from the ravages of the elements as you go about your day with Nature’s Beauty Manuka Face Cream. 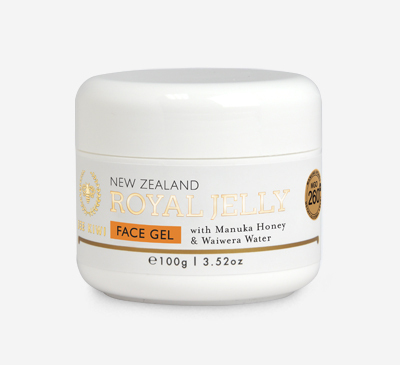 A revitalising day cream naturally formulated with New Zealand’s distinctive active Manuka Honey (MGO260+), renowned for it’s high compound and mineral concentration, as well as its incredible moisturising ability and antibacterial properties to soothe and aid in skin healing. Further enhanced with the combined antioxidant benefits of Grape Seed Oil, Royal Jelly and Pomegranate to moisturise, tighten pores and promote cell regeneration to help slow the skin ageing process, it also contains the vitamin rich Sweet Almond Oil to nourish and soothe the skin. Non-greasy and easily absorbed, this nourishing cream is light on the skin and works to deliver deep hydration and essential vitamins to the skin, while it’s powerful antioxidant ingredients help to protect and repair the skin from everyday environmental stresses, fading the visibility of dark circles and fine lines on the skin to gently reveal all of the skin’s natural beauty. 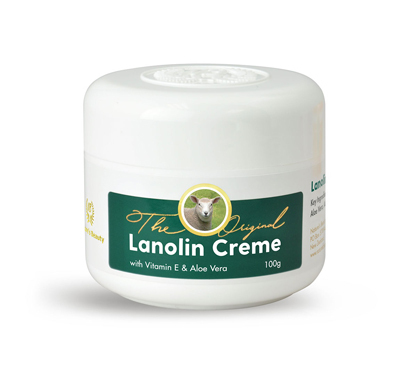 Apply cream with light smoothing motions in the morning to face and neck after cleansing and toning. Grape Seed Oil is an astringent ingredient that contains antioxidants and anti-inflammatory properties to help tighten the pores, moisturise, and relieve dark circles naturally while improving skin elasticity and helping fight the signs of ageing.